I had made some cards last month to encourage the boys for their upcoming SOL tests - with a prodding from one of their teachers. ;) However, my youngest doesn't have SOLs but when you make something for one kid, you gotta make something similar for the others! :) I loved the VLV layout I had done earlier - this time I added the Memory Box Brand New Bicycle to my card because he has been unwilling to learn how to ride his bike - he prefers to ride his little scooter. The rectangles were cut using Spellbinders A2 Matting Basics A and the pretty bracket tab is from MFT Blueprint 13. Sometimes I forget to use just a part of a larger die as a small background element. 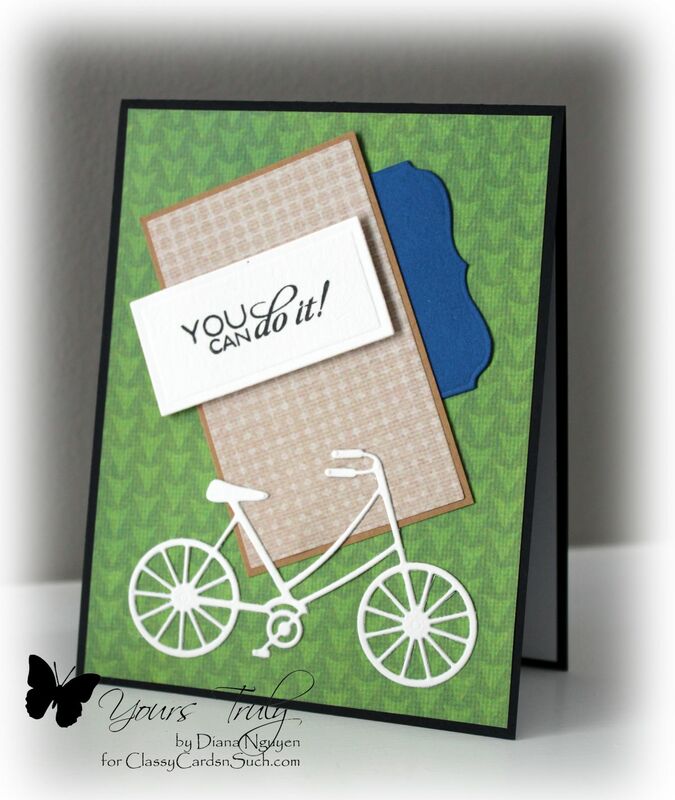 The sentiment from Verve Fabulous You is done with black detail embossing powder and popped up on small Joy! foam pads. The papers were all scrap paper that I've been collecting over the years - it always feels great when I actually use them! Such a sweet card, Diana!